At SALON 3 EAST We specialize in contemporary hair design for women and men, and our staff offers quality and reliable PRODUCTS and SERVICES you can count on. In addition, our friendly and professional staff is here to answer any questions you may have about our company or our services. Whether you need Just a wash and cut, amazing color with depth, dimension, shine and style use our Salon SERVICE , or The Chemistry System, which is an in-salon service that your Stylist customizes for your hair needs. A Chemistry System in-salon treatment can help repair distressed hair. Your Stylist can customize a treatment for you that can improve your hair in several ways… such as, increase the strength of your hair, repair chemical or mechanical damage (like from blow dryers or flat irons), make dry hair soft again or unruly, frizzy hair more smooth. We have what you need at prices you can afford. 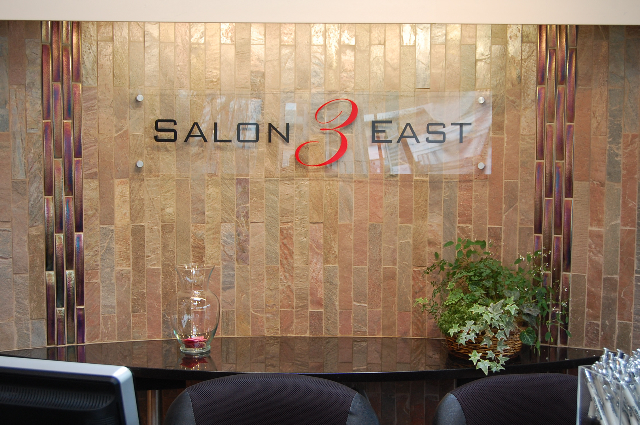 At SALON 3 EAST, our goal is to provide you with courteous, expedient, professional service of the highest caliber. At SALON 3 EAST, the customer always comes first.